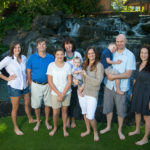 Big Island Wedding Photographer Eye Expression Photography captured this beautiful wedding at a private home Hualalai mountain just off Kaloko Drive. The bride got ready at the house and then the ceremony was held on the back lawn. 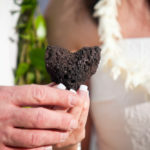 It was an intimate and beautiful ceremony site. Orchids were placed on the stepping stones and around the ceremony site. 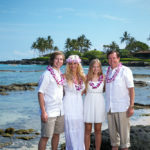 Photos of family and the bride and groom were taken at Old Airport Beach Park, one of my favorite locations in Kona for portrait and wedding photography. After photos on the beach everyone headed to the Royal Kona Resort for the reception. 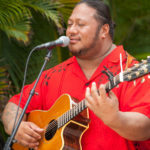 Mele’ uhane provided the music and did a wonderful job as well.